It may prove to be a shot heard around the video gaming world. On December 12, 2017, Crytek GMBH filed a copyright and breach of contract suit against Cloud Imperium Games (CIG) and Roberts Space Industries (RSI), the maker of Star Citizen, in California Central District Court, part of the American federal court system. Crytek’s main claims are that Cloud Imperium has broken their contractual obligation regarding how they used CryEngine, and breached Crytek’s copyright by publishing privileged details of CryEngine in its Bugsmashers videos as well as providing privileged information to Faceware Technologies. 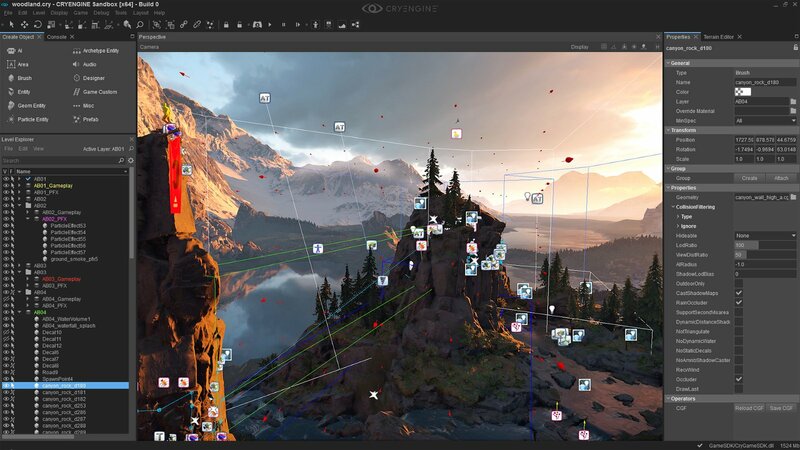 As of the date of writing, very little has happened outside of the filing of the initial 15 page complaint, accompanied by a four page exhibit containing a copyright registration for CryEngine . On Wednesday, December 13, Judge Dolly M. Gee issued a standing order setting out some ground rules of how the parties were to conduct themselves during the phases of the trial. CIG has yet to file a defence brief, and it may be weeks before they do. Otherwise, most of the action has been the filing of the necessary paperwork to allow the members of Crytek’s legal team from Skadden, Arps, Slate, Meagher & Flom LLP—a prestigious law firm based in New York—to present the case in California. But while we do not yet have CIG’s side of the story—or, for that matter, the public release of the Game License Agreement (GLA) that Crytek claims they have breached—this case is already far from a simple one. As Leonard French, a Pennsylvania copyright lawyer who streams discussions of internet law under the title “Lawful Masses,” pointed out, there are two main types of damages that Crytek is claiming. The first are remedies for breach of contract, which are limited to what would make Crytek “whole,” or, put another way, to put Crytek back into the position it would have occupied if the contract had not been broken. Crytek has not claimed an exact figure, only that it would be higher than $75,000, one of the thresholds to put the case under the jurisdiction of the Federal Court. The second are statutory damages for copyright infringement, which are set at between $750 to $150,000 per infringement, with the exact number set by the judge based on the nature and circumstances of the infringement. While it is the complaint of copyright infringement that can rack up the most damages, at its heart Crytek’s lawsuit is a breach of contract complaint. And, it is a breach of contract suit whose damages could be very difficult to calculate. 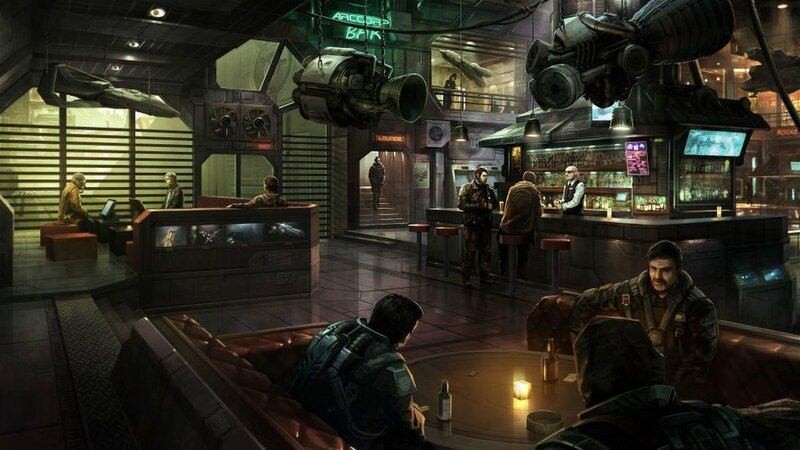 The easiest possible calculation of damages would be based on Crytek’s claim that CIG and RSI received a heavy discount from the full price of licensing CryEngine, on the grounds that Star Citizen would feature Crytek’s logos in a prominent way that would, in turn, create additional indirect business due to the quality of the engine’s implementation in Star Citizen. So, there would be little difficulty in calculating the damages by taking Crytek’s full licensing fee and subtracting the amount CIG paid. However, Crytek is also claiming damages for the loss of revenue caused by CIG and RSI removing Crytek’s logos from the game, and for the loss of revenue caused by CIG and RSI failing to provide their promised bug fixes to CryEngine; and this is far harder to calculate. For one thing, Crytek is claiming damages for the loss of advertising in a game that has not yet been released. Star Citizen has yet to enter an early access phase, severely limiting the player base who would see the Crytek logos. Crytek could argue that the amount of money raised for Star Citizen through crowdfunding is an indicator for potential sales after release, but this is quite speculative. Further, because the game is still early enough in development, even if Star Citizen’s player base could see the Crytek logos, it can be argued that they would not be seeing the engine at its best. There is also the question of just how much economic benefit Crytek would reasonably receive from the bug fixes, had CIG delivered them. However, both of these damage claims remain intangibles, making them very difficult for a judge to calculate, and requiring a great deal of litigation to sort out. Another issue is Squadron 42. According to the complaint, CIG was licensed to use CryEngine for a single game—but since Squadron 42, which also used CryEngine upon its inception, was announced as a separate game on December 16, 2015, Crytek is claiming both a breach of the GLA and infringement of copyright. But even here, it gets complicated. 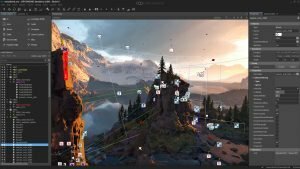 CIG announced a change to Amazon’s Lumberyard engine in December 2016, and CIG could offer a defence that even if CryEngine was used for the initial development of Squadron 42, it was replaced prior to any release, which means that CIG is no longer in breach of contract or Crytek’s copyright. 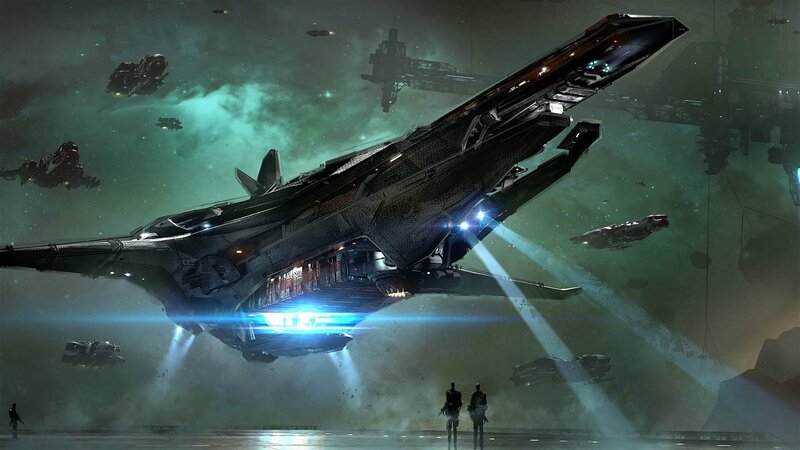 This defence might not eliminate damages (there was certainly a period of time between the announcement of Squadron 42 and the switch to Lumberyard where the game was being developed with CryEngine), but it would certainly have the potential to reduce them. To press this claim to best effect, Crytek would have to prove that CIG did not switch engines at all. 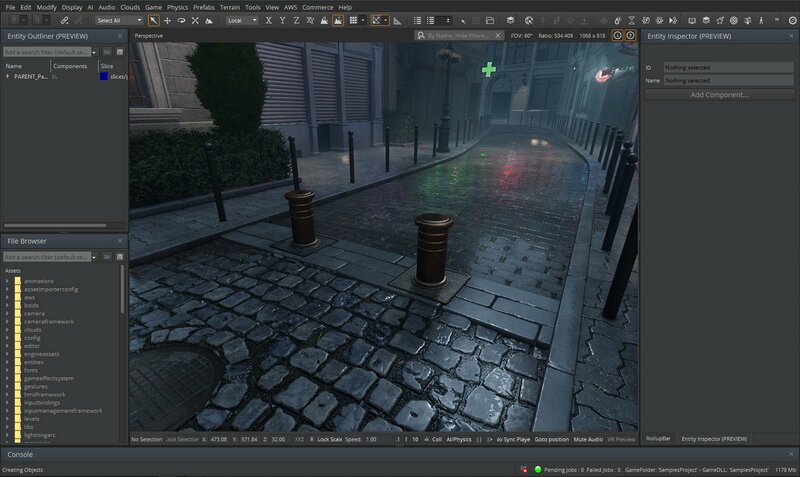 However, since Amazon’s Lumberyard engine is a fork from CryEngine, this would mean going through the engine code to determine what is unique to CryEngine and what is unique to Lumberyard, and demonstrating that there is enough still unique to CryEngine to be conclusive. If the Star Citizen and Squadron 42 engine proves to be Lumberyard, this brings the action to a breach of the exclusivity clause of the GLA. Essentially, Crytek claims that CIG had signed a contract to only use CryEngine in Star Citizen, and by switching to Lumberyard, they have breached the GLA and deprived Crytek of the benefits of having their game engine advertised to Star Citizen’s players. 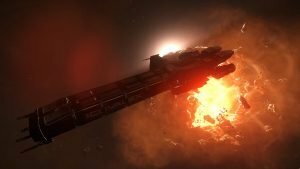 However, they are claiming damages based on a game that is arguably years away from general release, with a troubled and controversial development history that may prevent Star Citizen from being finished at all—in which case there would have been no benefits to Crytek in the first place. Another important matter, particularly for the assignment of damages, is where the breach of contract ends and copyright infringement begins. As Leonard French pointed out, there is a distinct possibility that CIG could counter the copyright claims on the grounds that it was a misunderstanding of the contract, and in the process reduce or eliminate the copyright infringement damages. There is also the issue of the injunction – Crytek has requested that the court issue an injunction preventing CIG and RSI from continuing to develop Star Citizen. This is not without precedent—in 2012, Silicon Knights lost a lawsuit against Epic Games, in which it was proven that Silicon Knights had appropriated Epic’s Unreal Engine 3 code to create their own engine. The court ordered Silicon Knights to cease sales and development on and destroy all games using the infringing code, a move that forced the developer into bankruptcy in 2014. However, there is a distinct difference between Silicon Knights and CIG/RSI. CIG has changed engines rather than appropriating Crytek’s intellectual property to create their own, and if they have indeed completed the transition to Lumberyard, there would be no infringing code left to justify an injunction on grounds of ongoing copyright infringement. While all of these complications could keep the Crytek v. CIG and RSI battle in the court for years to come, the lawsuit raises a very important issues for indie developers relying on crowdfunding to produce their games: what happens when an indie developer signs a contract to exclusively use a video game engine when that engine proves to be insufficient for the needs of the game? Can the owner of the engine shut down the project if the developer attempts to move to a new game engine? A large game studio or one backed by a major publisher has the benefit of a legal team to sort out any of these issues in a way that will not destroy the project, but a small indie studio relying on crowdfunding does not have any such resource. The solution to this may, however, be one of due diligence before contracts are signed, and avoiding signing any contract that requires exclusive use of a game engine in the first place. The legal battle between Crytek and CIG/RSI will not be a simple one. The damages that Crytek is asking for requires the calculation of a number of intangibles that will likely draw out the proceedings. There is also a distinct possibility that, CIG/RSI’s protestations to the contrary notwithstanding, the case will result in an out-of-court settlement. However, should it go to trial, it may raise a number of issues of how indie developers interact with the creators of their game engines, as well as define just what happens when a lawsuit begins over a game which has yet to be released. Robert B. Marks is, among many other things, a legal researcher associated with Bien Law in the area of Kingston, Ontario. DISCLOSURE: Robert B. Marks is a former content contributor to The Escapist, owned by Defy Media, which was involved in a dispute (of which he was neither involved or privy to its details) against Cloud Imperium Games. Liked this article and want to read more like it? Check out more by Robert B. Marks such as Creating Dread: The Design Decisions Behind Horror Games and How Diablo Became an Instant Classic!